The surviving members of The Cranberries have said they are "devastated" at the sudden death of their friend and singer Dolores O'Riordan. In a tweet, Noel and Mike Hogan and Fergal Lawler said the Limerick-born star was an extraordinary talent. "We feel very privileged to have been part of her life from 1989 when we started the Cranberries," they continued. "The world has lost a true artist today." Tributes have poured in for the late singer. President Michael D Higgins was among the first to pay tribute to O'Riordan, issuing a statement telling of the "great sadness" he felt at hearing the news of her passing. "It is with great sadness that I have learned of the death of Dolores O'Riordan, musician, singer and song writer," President Higgins' statement read. "Dolores O'Riordan and The Cranberries had an immense influence on rock and pop music in Ireland and internationally. I recall with fondness the late Limerick TD Jim Kemmy's introduction of her and The Cranberries to me, and the pride he and so many others took in their successes. "To all those who follow and support Irish music, Irish musicians and the performing arts her death will be a big loss." Paying tribute on his RTÉ Radio 1 show, Ryan Tubridy said: "Sometimes some people come along as guests on a TV show and a radio show and you think as a presenter - I think as a team, broadly - 'Great, they're on'. "Because you look forward to them coming through the door because they're fun and they're messers and they're craic and they're goofy and they're bold and they've got a twinkle in their eye and they're full of devilment. My favourite people in the whole world. And she was one of them." Hozier said he was "shocked and saddened" at the news while reminiscing about the first time he heard her voice. 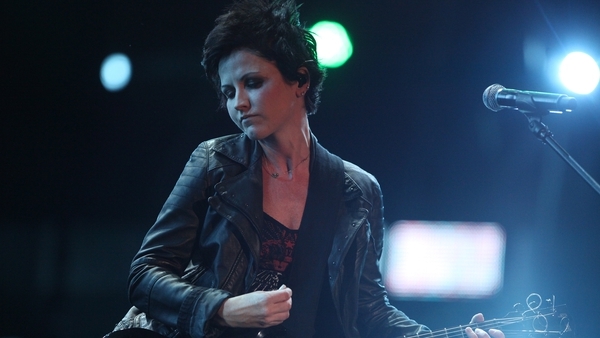 "My first time hearing Dolores O'Riordan's voice was unforgettable. It threw into question what a voice could sound like in that context of Rock," Hozier tweeted. "I'd never heard somebody use their instrument in that way. Shocked and saddened to hear of her passing, thoughts are with her family." My first time hearing Dolores O'Riordan's voice was unforgettable. It threw into question what a voice could sound like in that context of Rock. I'd never heard somebody use their instrument in that way. Shocked and saddened to hear of her passing, thoughts are with her family. Kodaline, who opened for The Cranberries early in the career, said they were "absolutely shocked" to hear the news of her passing. Music producer Stephen Street, who worked with The Cranberries throughout their career - beginning with their debut album Everybody Else Is Doing It, So Why Can't We? - expressed his sadness at losing his "songbird". Dave Davies, founding member of The Kinks, shared a photo of him with O'Riordan online, saying: "I'm really shocked that #DoloresORiordan has passed so suddenly. "I was talking to her a couple weeks before Christmas she seemed happy and well - we even spoke about maybe writing some songs together - unbelievable god bless her." MayKay, former Fight Likes Apes frontwoman and current singer with Le Galaxie, told of the "huge impact" O'Riordan had on her, hailing her as "the reason so many young girls saw a place for themselves in rock music". Eoghan McDermott paid tribute to the singer on his RTÉ 2fm show on Monday, and took to Twitter to remember the "feisty, angry, intelligent, sparky, imperfect" artist. The band Garbage tweeted their condolences to the other members of The Cranberries, writing: "So saddened to hear about the sudden death of Dolores O'Riordan. Our sincerest condolences to @The_Cranberries and all of her loved ones." So saddened to hear about the sudden death of Dolores O’Riordan. Our sincerest condolences to @The_Cranberries and all of her loved ones. Fans have also been taking to social media, with many thanking her for her contribution to music. Today FM presenter Allison Curtis noted the impact O'Riordan and Sinead O'Connor had on her as a teenager, tweeting: "Us Canadian teen girls were lifted when Sinead and Dolores hit our shores - we admired them and wanted to be like them - this is so sad." "So shocked and saddened by the death of #DoloresORiordan. The Cranberries' music and her distinctive voice were so much a part of my teenage years. Thoughts are with her family & friends who must be devastated," RTÉ Gold's Amanda Fennelly tweeted. "Completely gutted to hear about #DoloresORiordan. Thank you for your wonderful music for so many years," one Twitter user wrote. Another fan tweeted that O'Riordan will "forever be immortalized in some of the greatest tracks to ever come out of Ireland". Others remembered her "most distinctive and powerful voice", labelling her as "iconic" and a "trailblazer." Very sad about Dolores O’Riordan. #RIP. I listened to The Cranberries up in my bedroom full blast angry at my parents and the world scream singing into my pillow. I’m so saddened to hear about Dolores O'Riordan’s passing. Everyone in Ireland is going to spend their commute home blaring Zombie and crying. Gone too soon #DoloresORiordan. Rest in Peace @DolORiordan #DoloresORiordan 😢 The Cranberries in my opinion were iconic and she had the most distinctive and powerful voice. Everybody Else is Doing It So Why Can't We?